Belong is a small broadband provider wholly owned by Telstra, However, in contrast to Telstra’s often complete internet plan range, Belong is taking the opposite approach, offering a reasonably simple, easy-to-understand selection of plan options on both ADSL and NBN connections. Belong offers plans on both monthly and annual contracts, with a focus on affordability and good value for money. But how do Belong’s internet plans stack up against other service providers? Read on for Canstar Blue’s review – and jump into our comparison tool to compare your options. Belong offers a dead simple approach to selecting a plan – instead of picking one of several packages, you simply pick one of two data, contract and call options to create your own plan. Opting for a monthly contract gives you the flexibility to cancel anytime, but requires a $60 modem fee and costs $5 extra each month. Opting for a 12-month contract nets you a Wi-Fi modem for free, saving you a combined $120 over the life of your plan (including a $5 monthly discount). Belong’s voice calls use their dedicated app called Belong Voice rather than the traditional phone line rental. The app performs the same way as Skype, Viber and other VoIP services, offering you national or international calls over the internet. You can use it on up to three devices using Wi-Fi or mobile data. Choose the speed tier you want: Starter plans offer typical evening speeds of 30Mbps, Standard Plus plans 40Mbps, and Premium plans 80Mbps. Choose the contract you want: 12 months or monthly ($5 extra for monthly). Monthly contracts also incur an initial $60 modem fee. Optional: Add national and international VoIP calling packs from $10 a month. So, if you start off with a base plan consisting of unlimited data on a 12 month contract with Starter speeds, this will cost $55 a month. The maximum your plan could cost (with unlimited data, a monthly contract, and Premium speeds) is $90 a month. What does Belong internet offer? Belong’s NBN coverage is largely subject to what’s taking place nationwide. NBN Co – the wholesaler responsible for the rollout – says that by the time the NBN is finished, fibre connections will cover 93% of Australians with the remaining 7% of Australians to be placed on a fixed wireless or satellite network. Belong is a subsidiary of Telstra but its NBN fate still falls into the arms of NBN Co. Currently most capital cities are covered, as well as major regional hubs. If you’re not connected it’s probably only a matter of time until you are, with Belong having an address checker on its website to see what you can connect to. Belong incentivises customers to choose a 12-month contract, with cheaper prices for committing. Overall, while there’s not a lot of extra stuff – namely in the way of entertainment – Belong does provide fairly straightforward broadband at a fairly accessible price for many. If you’re after something fast but affordable, Belong may have what you need on the Starter speed tier (NBN 50 or Standard Plus Evening Speed, with download speeds limited to 30Mbps). Unlimited data starts at $55 a month here, but keep in mind the $5 premium you’ll pay per month for a month-to-month contract, plus $60 for Belong’s Wi-Fi modem. If you’re willing to sign up for 12 months, the minimum you can expect to pay here is $65 a month. For the month-to-month plan you’ll be paying $70 each month, plus the initial $60 Wi-Fi modem fee. For premium NBN, Belong offers a pretty attractive 12-month plan for $90 a month. For the more flexible option, you’ll pay also pay $90 monthly, plus the initial $60 Wi-Fi modem fee. Belong has a comprehensive FAQ page on its website along with an easy-to-navigate support system. Its call centre is open from 7am to 12am (midnight) AEST every day. Beyond that, Belong’s online portal contains account management services, payment services, order tracking, data tracking for data-capped plans, moving-house options and more. How does Belong compare to other broadband providers? However, if you’re a discerning customer, there’s more to a plan than just a cheap price. Setup fees, upfront modem costs, contract lengths and other additional add-ons can all make or break a plan, so choose wisely here. Do I belong with Belong Broadband? That depends on how important using the Telstra network is to you. 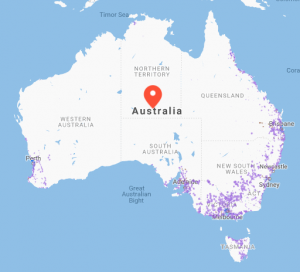 We suspect if you’re reliant on Telstra for its expansive network, then Belong can offer a good alternative to Australia’s largest telco on ADSL connections, however for NBN connections the question is largely a moot point. Frequently, for both ADSL and NBN connections, there are other smaller providers offering more data for less with no contracts and no extra costs in doing so. Belong evidently wants you to commit to 12 months or more, as you are slugged with a higher monthly cost and a set-up fee by opting for no contract. While having the safety net of Telstra for a network on ADSL, is that really enough for consumers to choose Belong? For some living outside of metropolitan areas it may be, but for others it may be worth comparing a range of smaller providers that can get the job done just as well. What do customers think about Belong NBN plans? In 2018, Australian customers gave Belong 3 out of 5 stars for Overall Customer Satisfaction for NBN plans.